Product #15708 | SKU P-CPA | 0.0 (no ratings yet) Thanks for your rating! 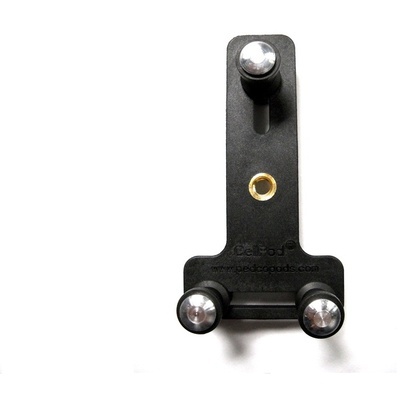 The CellPod® Adapter is an adjustable mount that holds digital media players and smartphones. Using any standard camera tripod as a base, this mount lets you position the screen at the correct viewing angle on airplane tray tables, desk tops, or just about anywhere indoors or out. Take stable photos, use the speaker phone, or watch video—your imagination is the only limit.